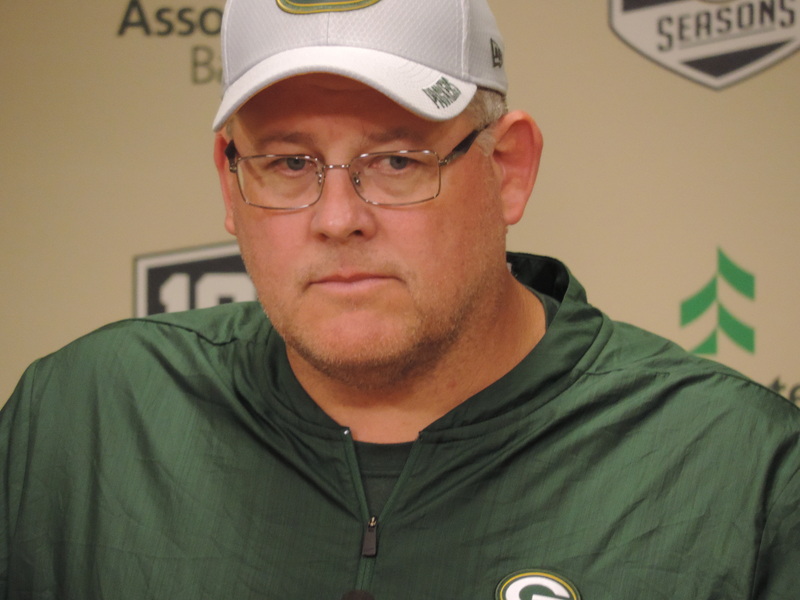 Green Bay offensive line coach James Campen has left the Packers to take the position of associate head coach/offensive line coach with the Cleveland Browns. Campen joined the Packers as a player in 1989. 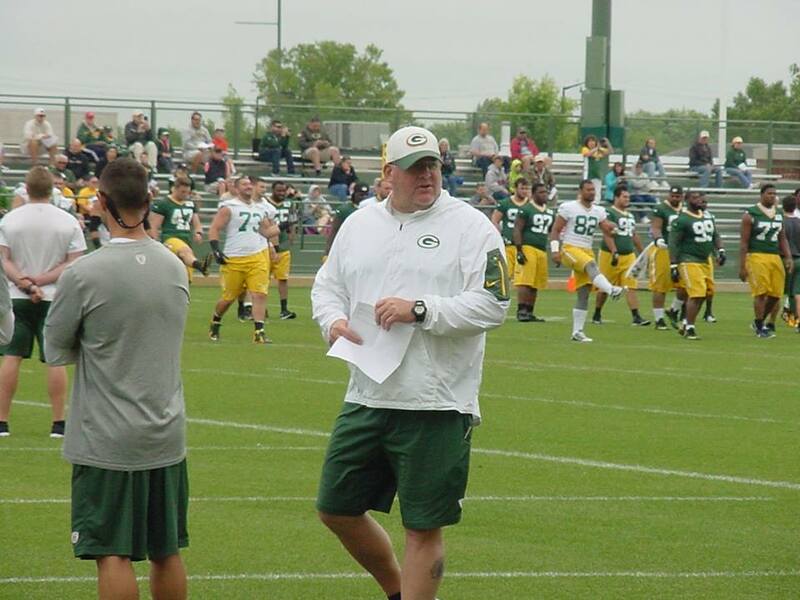 He joined the Packers coaching staff under Mike Sherman in 2004 as assistant offensive line coach/quality control. When Mike McCarthy was hired in 2006, Campen moved to offensive line coach and held that position until last year. Going into 2018, Campen continued coaching the offensive line but was promoted to run-game coordinator for the offense. He spent 15 years as an assistant coach and five as a player with the Packers. Campen was under contract with the Packers for the upcoming season, which means he needed to get permission to take the Browns job. The Browns also hired Tampa Bay Buccaneers offensive coordinator Todd Monken to fill the same role in Cleveland. Monken has interviewed with Matt LaFleur for the same position with the Packers last weekend. The Green Bay Packers finalized their coaching staff this week and it included some coaching promotions. Joe Philbin returns to Green Bay as the teams new offensive coordinator. Mike Pettine is the defensive coordinator. 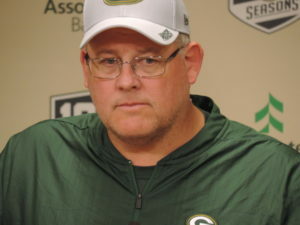 James Campen was promoted to offense – run game coordinator/offensive line. Jim Hostler is the offense – pass game coordinator. Patrick Graham is the defense – run game coordinator/inside linebackers. Joe Whitt Jr. is the defense – pass game coordinator. Frank Cignetti Jr. is the quarterbacks coach. Ryan Downard was hired as defensive quality control coach. Maurice Drayton is the assistant special teams coach. Scott McCurley returns as a defensive assistant. Jerry Montgomery is the defensive line coach, taking over for Mike Trgovac who was let go. David Raih is the wide receivers coach and Jason Simmons is the secondary coach. The new additions will be made available to reporters later today. Following is what Mike McCarthy’s coaching staff will look like for the upcoming 2018 season. Wednesday’s Green Bay Packers Training Camp workout was full of fights as well as pushing and shoving matches. That isn’t strange to an NFL practice. But the Packers had at least six of them yesterday. It started early with WR Jeff Janis and CB Antonio Dennard. When it was all finished, roughly 40 players jumped in. At least a dozen were on the ground, punching and kicking for 30 seconds or more. The day even included a shouting match between Green Bay linebackers coach Winston Moss and Packers offensive line coach James Campen. It’s almost hard to believe that a team that has struggled with injuries the past couple of seasons, came out of this with no injuries to report. 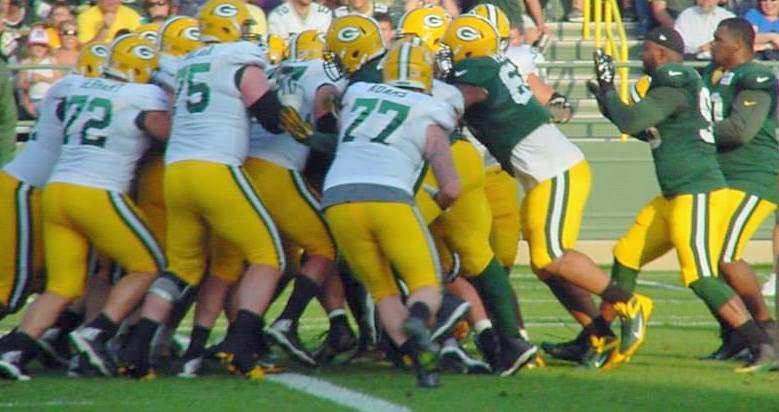 With three preseason games coming up, including a game at St. Louis on Saturday, Mike McCarthy said it’s likely the most physical they’ll be for the rest of camp. After practice, Jordy Nelson made it clear that challenges were presented to the players by the coaches during early morning team meetings, to fight for your teammates. The coaches were looking to see some emotion in this camp and that’s exactly what they got. So were the fights staged. You could say that the mission was accomplished.